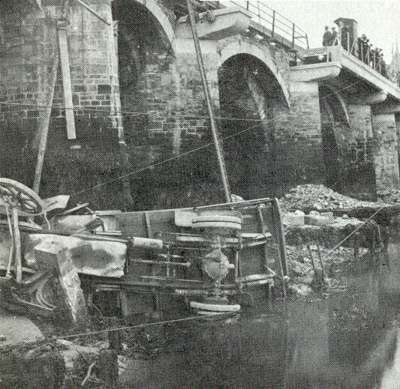 During the widening of 1925 this two-ton lorry laden with 300 gallons of oil and 40 two-gallon drums of petrol crashed through the temporary iron railings and plunged 25 feet on to the river bed below. Miraculously the driver, Mr Charles Cloke and his 21-year-old son Charles, escaped death. Mr Clokes son, bleeding from facial injuries, pulled himself clear of the wreckage but Mr Cloke Snr was trapped under the vehicle and there was some diffilculty in freeing him. He was reported to be in a critical condition when admitted to hospital but was stated later to be improving. 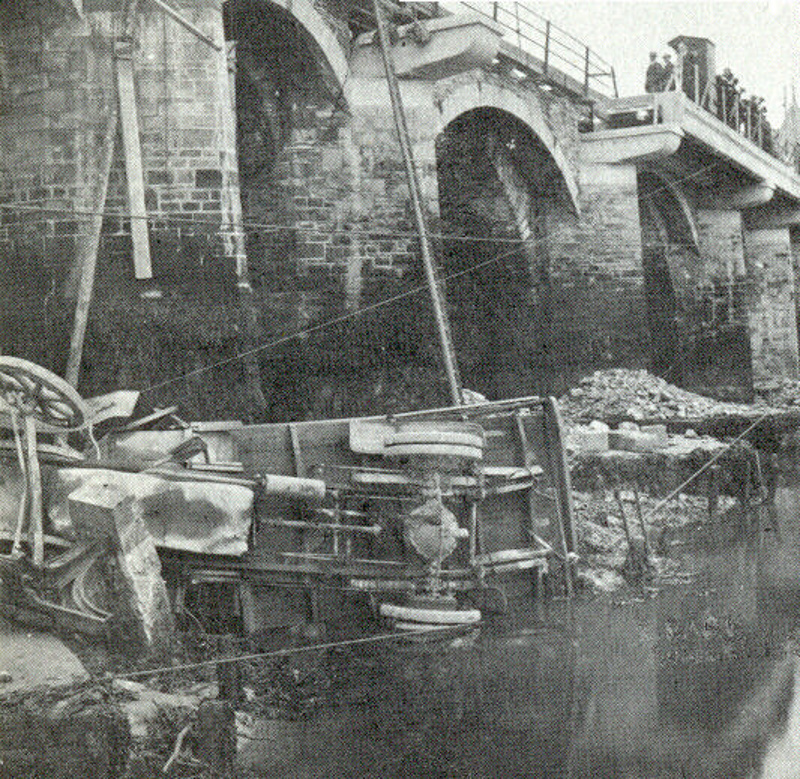 The wrecked lorry was dismantled at low tide on the following days, the parts being taken away by barge.